Here’s one of the choice cuts from Ty Farris’ recent project, No Cosign Just Cocaine 2. I like this project even more than the first installment. A track like this can just be considered cold-blooded. Stu Bangas is on the production. Enjoy, and as always, if you are feeling the joint, make sure you cop! I didn’t realize that Blacastan and Stu Bangas had an album in the works (Watson and Holmes). For their first offering, Nubian Metal, it’s an AOTP reunion of sorts with Vinnie Paz and Celph Titled jumping on the track. It’s more of what you have come to expect from the team: that hard-body hip hop. It’s not my favorite track out at the moment, but it still knocks with the best of them. The album drops July 29th. I am typically not a fan of montage/mashup videos but this one for Steel Chairs had me feeling a bit nostalgic. I grew up watching the likes of Arn and Oli Anderson and the Four Horsemen so this video took me back. I hadn’t thought about any of those names in a long while. And lets not forget to mention that the music from Esoteric and Stu Bangas is prime choice. Make sure you peep their new album, Machete Mode. New video off of Estoeric and Stu Bangas’ upcoming album, Machete Mode. The album is available for preorder on itunes right now and is slated to drop on November 26th. This particular cut has a tag team battle taking place over some ill Stu Bangas’ production. It’s Planetary and Blacastan taking on Reef and Esoteric. You decide the victor! Video single off of Esoteric and Stu Bangas’ forthcoming album, Machete Mode. Part of the AOTP gang joins Esoteric on the cut in the form of Vinnie Paz, Celph Titled, and Apathy. It incorporates a favorite Walter White turn of phrase from the now officially ended TV show, Breaking Bad. Check it! 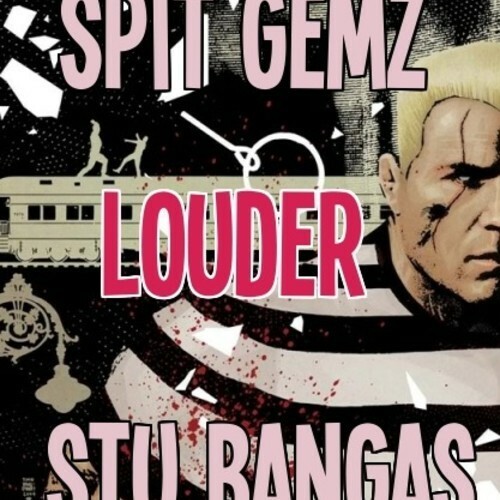 Second single of the day from Stu Bangas forthcoming album, Straight Death 2 this time featuring the incomparable Spit Gemz. Anyone think this album, will NOT knock? I didn’t think so.